Horizon Debates: Is technology a force for good in environmentally sustainable food production? This was the first in a new three part series of Horizon Debates, hosted by Green Alliance, exploring controversial issues around the future of land, food and the environment in the UK. 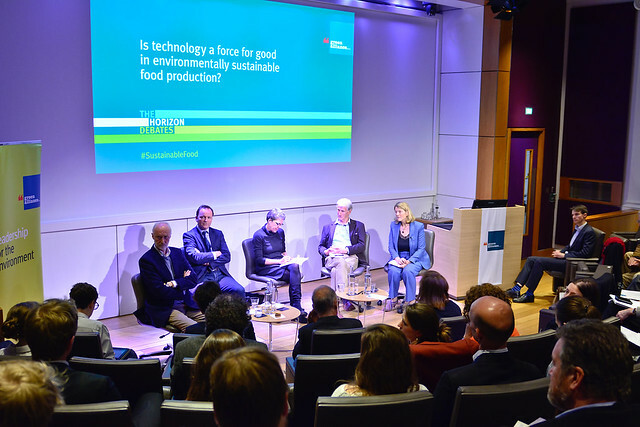 At this event a panel of experts from both sides of the argument debated the impact of novel foods and new agricultural technologies on the UK’s natural environment, their social acceptability and the ethical implications. Chaired by Christine Tacon, the UK's groceries code adjudicator and former managing director of Co-operative Farms. Listen to our podcast for highlights of the event. See the photos taken at the event. Christine Tacon Groceries code adjudicator and former Managing Director of Co-operative Farms.